Bonds present a great opportunity for investors to make some gains while at the same time allow governments to get some extra money to supplement their budget. They are debt instruments that are quite popular in many countries. However, Singapore seems to be taking an interesting approach towards bonds. The government of Singapore takes a different approach in that it does not fund its expenditure through debts including bonds. One of the recent types of debt instrument that was launched in 2015 is the Singapore Government Securities (SGS). They, together with Treasury bills are used to supplement the needs of banks, especially the need for an asset that is risk-free within their liquid asset class. Banks in Singapore also used Treasury bills and SGS as part of a border strategy aimed at helping Singapore to grow and become a center for debt capital management in the international market. The launch of the Singapore Savings Bond in 2015 has transformed bonds in the country from a low-return and conservative investment to one that has decent returns and quite appealing especially due to the lack of risk. The Singapore Savings bonds are a relatively new type of SGS and they were launched with the intention of providing a flexible and long-term savings option for individuals. Its risk-free nature is also supposed to help provide Singapore citizens with an option that will generate secure returns. 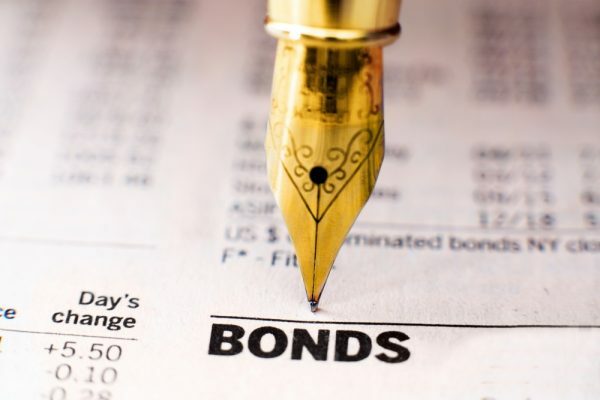 The bonds have a maturity period of 10 years and are expected to pay higher interest in the future depending on the rates for the market SGS. They also feature the option of redeeming early but on a monthly basis. The government has also made sure that the savings bonds are easily accessible to the people by issuing them on a monthly basis and also at a fairly attainable price of $500 per unit. The government also pays out the interest on the bonds every six months. Another good thing about the Singapore Savings Bonds is that they do not have a lock-in period and they also allow investors to choose how long they want to invest from the beginning to the time they mature. There are also no penalties for those who choose to withdraw the bonds before the maturity period. This means investors have access to a lot of flexibility and this makes the bonds even more appealing compared to some other long-term investment vehicles that have strict requirements. The combination of low risk and good returns seems to be attracting a lot of people in Singapore, especially those that had been discouraged by Singapore Savings Bonds in the past. The appeal was in fact so good that investors had oversubscribed to the bonds earlier this year. MAS recently opted to boost the supply of the monthly Singapore Savings Bond to $200 million from $150 million in order to cater to the growing demand. The rate of returns for any investment is one of the key factors that determine whether investors will participate. The SSB has been offering an attractive interest rate that has made the bonds quite appealing as evident by the huge influx of investor as pointed out above. In this case, there are two figures to consider, namely the average return per annum and the interest rate. This is because the interest rate keeps going up. The interest for the first year is calculated at $1.68 percent and it keeps increasing each year after that and is at 2.43 percent at 10 years. The figures are constantly changing especially since new bonds are issued on a monthly basis. The average interest rate for bonds issued in October 2015 was 0.96 percent compared to the current average of 1.68 percent and this shows progressive growth. It is also worth noting that the rising interest from the first year and onward is an incentive for participants to let their investments stretch over the long-term. As noted earlier, the bonds are available at units that start from $500 and one would need to purchase quite a handful of units in order to enjoy good returns. Anyone looking to maximize the returns on the SSB can do so by investing a larger amount. 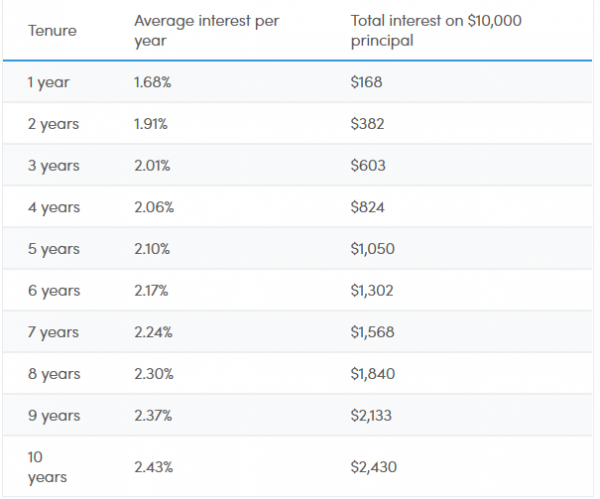 Those who invest small amounts are at a disadvantage especially given that the interest rate is still in the single digit range. The only way to benefit significantly from the bonds over the short-term is by investing a huge amount of money. For example, anyone that invests $1 million in bonds at an annual interest rate of 1.68 percent for the first year will get a return of $16,800 while an investor who invests $10,000 at the same rate will get $168. Also, allowing the invested amount to remain for the full maturity period will also allow you to withdraw the lump sum upon the maturity period and this will allow you to enjoy the returns at a grander scale. Is it a good idea to invest in the Singapore Savings Bonds? The answer is absolutely yes based on the fact that they are risk-free and that they offer good interest rates that are constantly improving. However, there are a few things to consider. There might be other investment options that will offer better interest rates but chances are that they will have a higher degree of risk. Singapore bonds and any other bonds are also not a get-rich-quick opportunity. Anyone who wants to invest in them should consider only investing their disposable income which they are not in a hurry to spend. It is also a good idea for those who are just looking for a place to safely put their money without any risk involved. Again the urgency of the money comes into play where it is not a good option for those looking for quick returns. Overall, it seems to be a good investment option that is currently attracting a lot of people in Singapore.